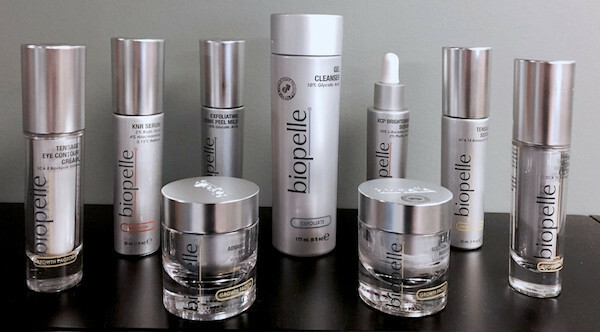 Biopelle has found the solution to dramatically younger-looking skin with improved clarity and enhanced luminosity. Contains 10% glycolic acid to remove impurities and reveal a more radiant complexion. This lightweight formula is suitable for sensitive skin to minimize the appearance of fine lines, wrinkles and hyperpigmentation. Improves skin tone and texture: This formula combines 15% glycolic acid with taurine to gently exfoliate. It helps minimize age spots, fine lines and wrinkles while promoting a radiant complexion. Removes impurities to help restore a youthful radiance to your complexion. This formula contains 20% glycolic acid to reduce the appearance of age spots, fine lines and wrinkles. It also helps to boost cell turnover and improve skin tone. Lightweight formula that removes pore-clogging debris for a refreshed complexion. It regulates excess sebum with 10% glycolic acid while exfoliating for smoother skin. This cleanser also contains glycerin to provide a boost of moisture and comfort irritation. Gentle formula that removes dirt, excess oil and pore-clogging debris for a cleaner complexion. It contains 2.2% glycolic acid to help reduce fine lines, wrinkles and hyperpigmentation as it clears pores. This cleanser will leave your skin feeling smooth and looking refreshed. Helps deliver a cleaner, brighter, more even skin tone. This formula contains 4% niacinamide to improve circulation and reduce the appearance of wrinkles. It also utilizes 2% kojic acid to treat age spots and freckles while 0.15% retinol encourages healthy skin renewal. Helps improve the appearance of uneven skin tone Provides antioxidant protection against future damage. Combines l-ascorbic acid and phytic acid to brighten your complexion. Phytic acid improves the appearance dark spots for a more even skin tone. L-ascorbic acid protects against sun damage and provides the antioxidant benefits of vitamin C.
The science behind Tensage’s ultra epidermal repair line is unlike any other skincare formulation. As your skin becomes injured extrinsically, it reciprocally starts its natural reparative process, but more often than not your skin’s repair process is interrupted by the encroachment of other free radical agents. At the core of Tensage’s accelerated repair formula are glycoproteins, a snail secretion also known as Cryptomphalus Aspersa. Studies have revealed that the secretion effectively repairs a snail’s skin following injury in as little as 24 hours, leaving less time for further damage to occur. The patented fibroblast growth factor blend harnessed in Tensage’s formulation is called SCA (Secretion of Cryptomphalus Aspera) Biorepair Technology. Uses a distinct anti-aging formula to reduce the appearance of fine lines and wrinkles, including crow’s feet. Formulated to target the delicate, sagging area around the eyes, this skin tightening cream helps maintain a youthful complexion. This product also deeply moisturizes dry, mature skin to create a soft and smooth texture while improving elasticity.This anti-aging eye cream uses SCA Biorepair Technology, which is based on the healing properties of Cryptomphalus Aspera secretion. Ideal for those with mature skin, this eye product helps diminish the appearance of crow’s feet, fine lines and dark circles. Hydrating ingredients in this skin tightening cream moisturize for a soft and smooth complexion.